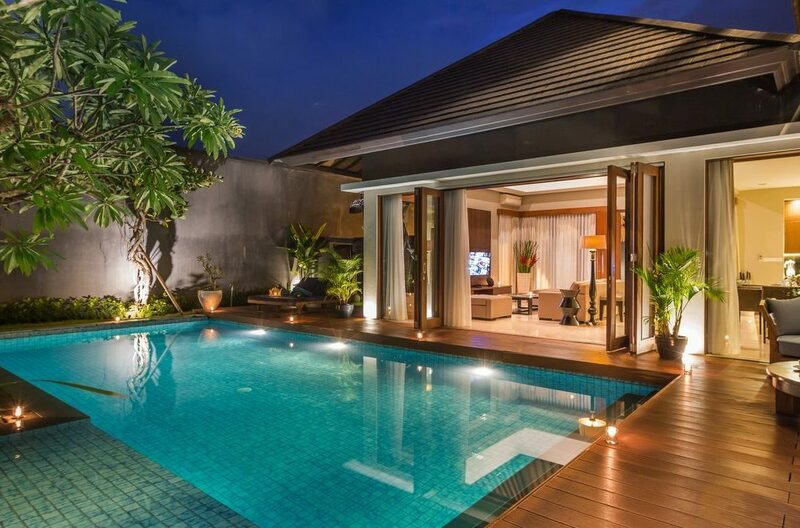 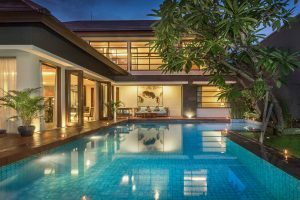 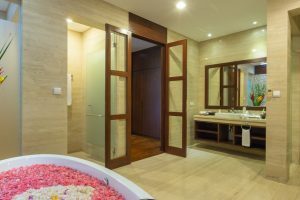 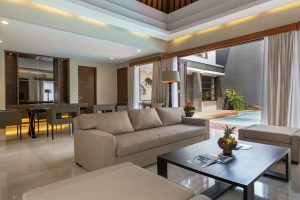 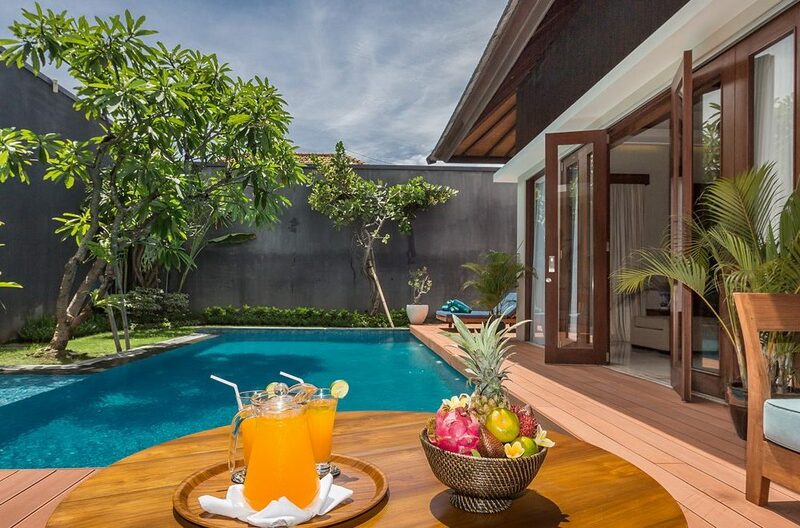 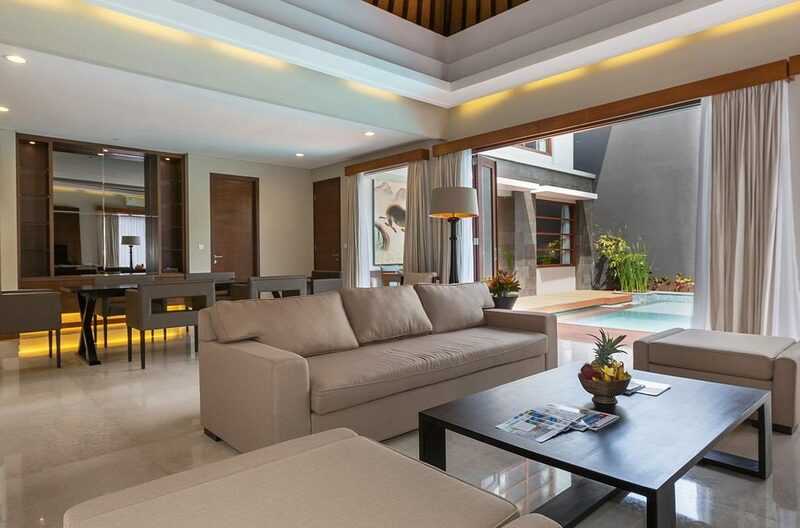 Villa Entrada is a 3 bedroom Seminyak holiday villa rental situated on the border of fashionable Seminyak and on the inland side of Sunset Road. 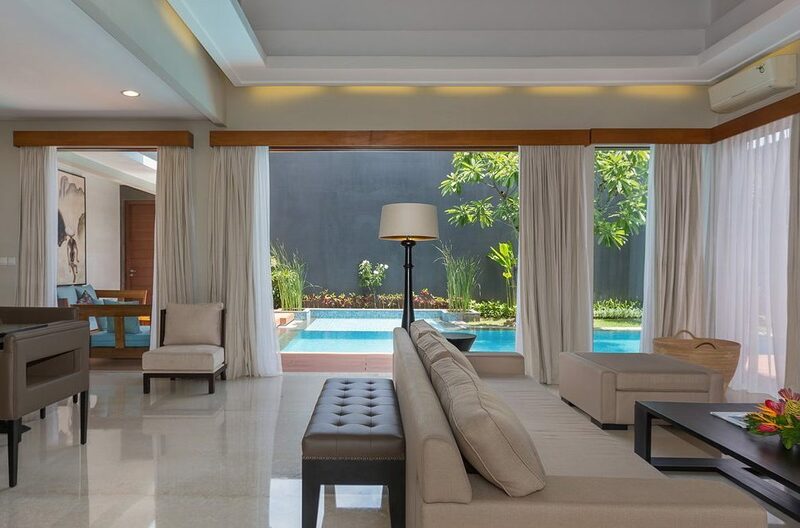 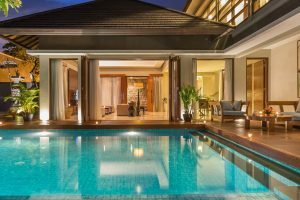 This luxurious villa is brand new, featuring contemporary design and a large private pool, built over two levels, the villa offers plenty of space and privacy for guests. The villa accommodates up to 6 guests with friendly Balinese staff to make sure your holiday is totally relaxing and the airport is only 10 mins from the beach. 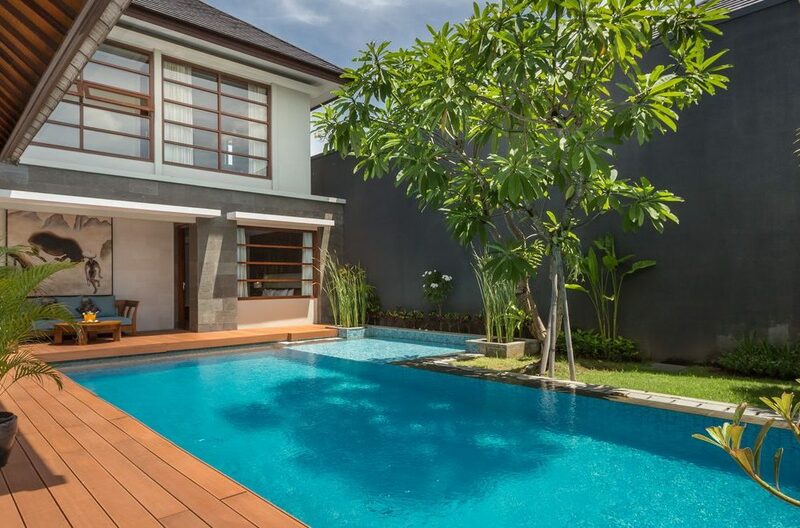 The L-shaped swimming pool fills the garden perfectly with a large wrap around timber deck. 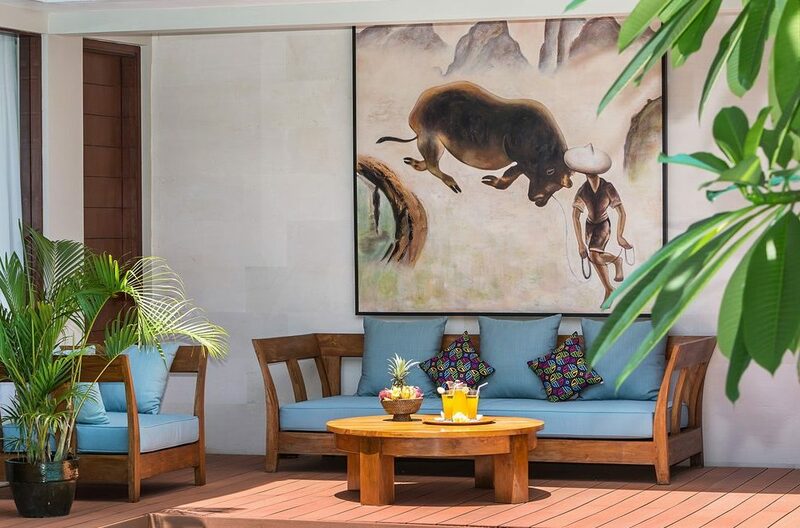 At one end of the pool a custom built timber lounge with plush cushions is ideal for relaxing with a cold drink and a reclining daybed perfect for soaking up the sun. 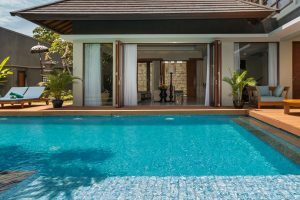 There is a shallow section at one end of the pool, ideal for the kids. 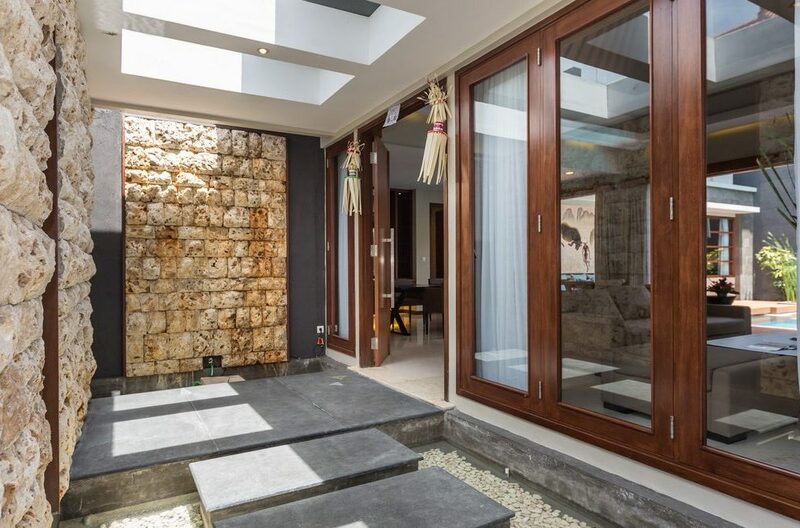 Walk through the large bi-folding doors from the pool deck into the comfort of the air-conditioned lounge and dining room. 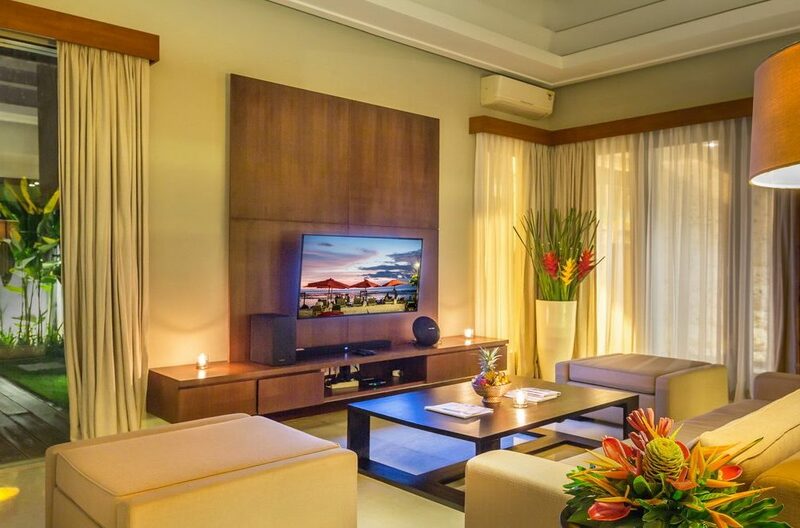 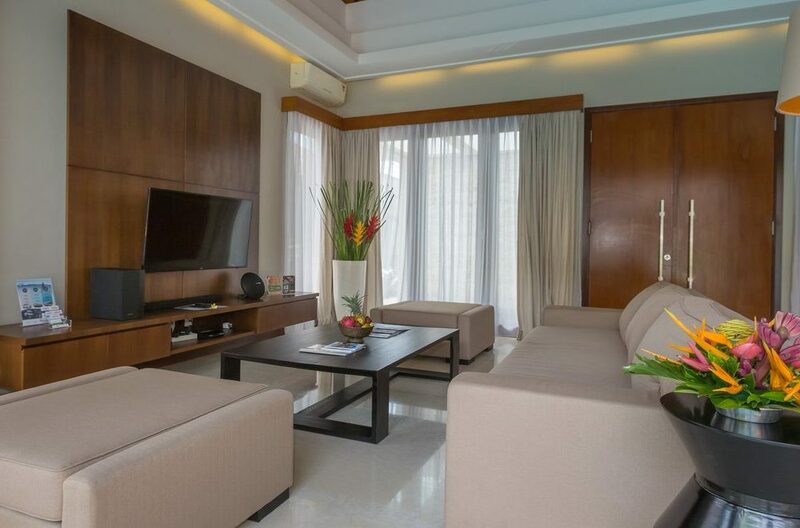 Sink into the comfortable designer couch in front of the large wall mounted LCD TV with cable channels. 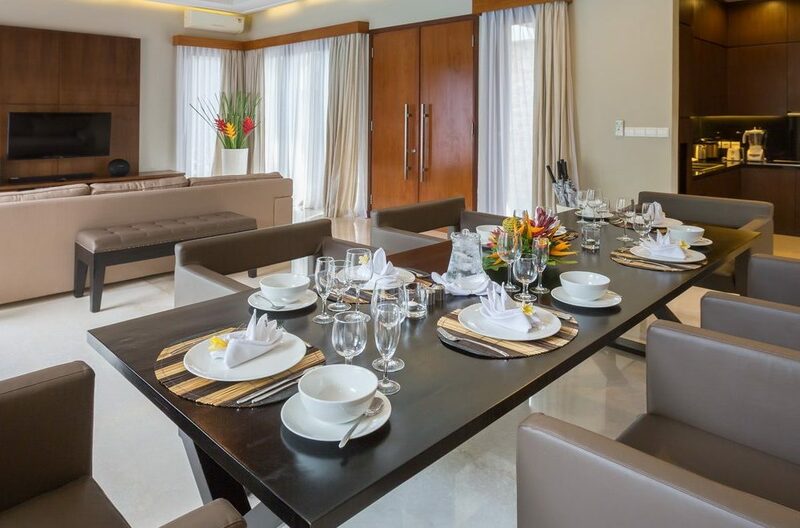 Dinners can be enjoyed at the sleek dining table for 6 with comfortable leather chairs. 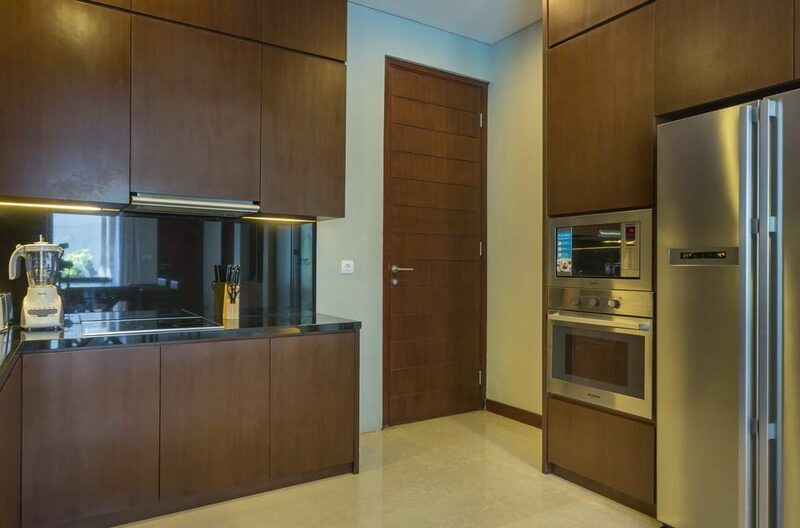 The kitchenette is well equipped and guests are welcome to do any of their own cooking. 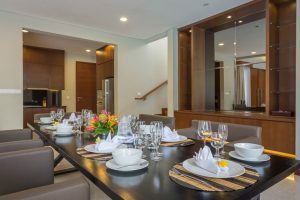 If you want to prepare a dinner party there are supermarkets nearby where you can stock up on all your food, veggies & alcohol. 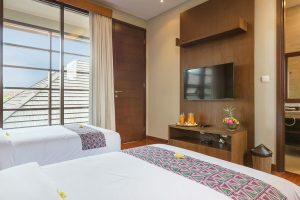 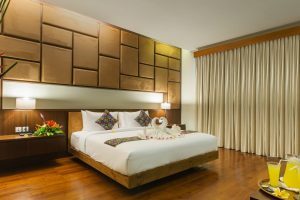 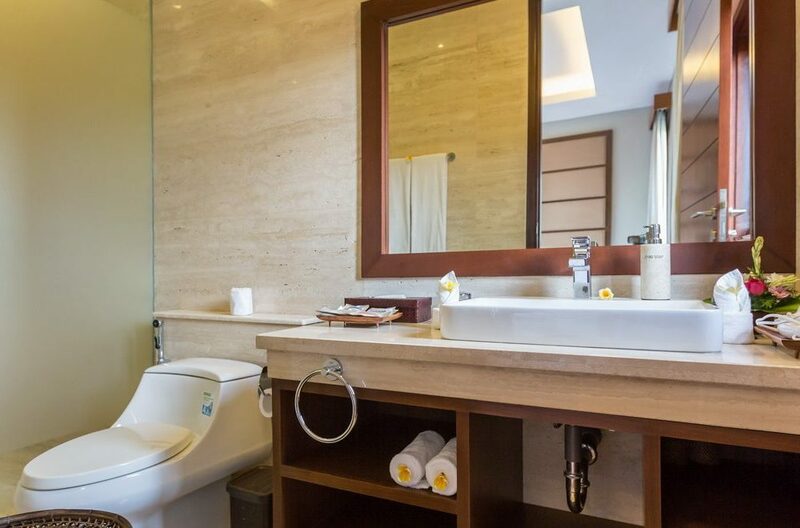 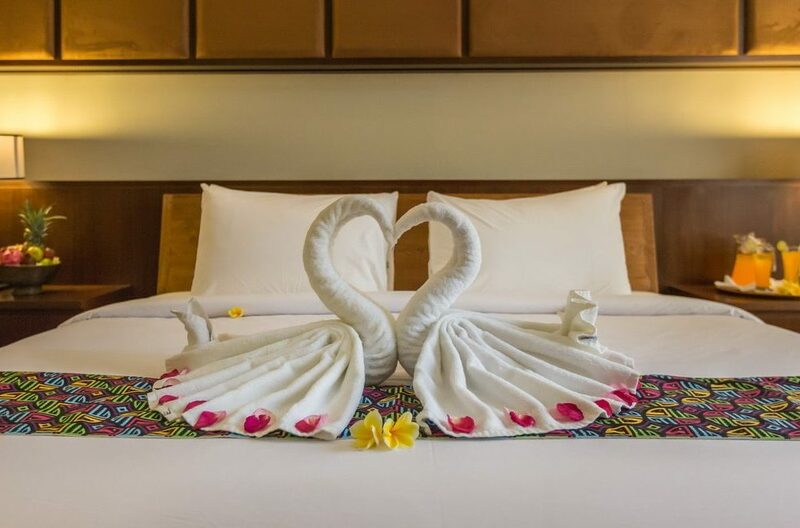 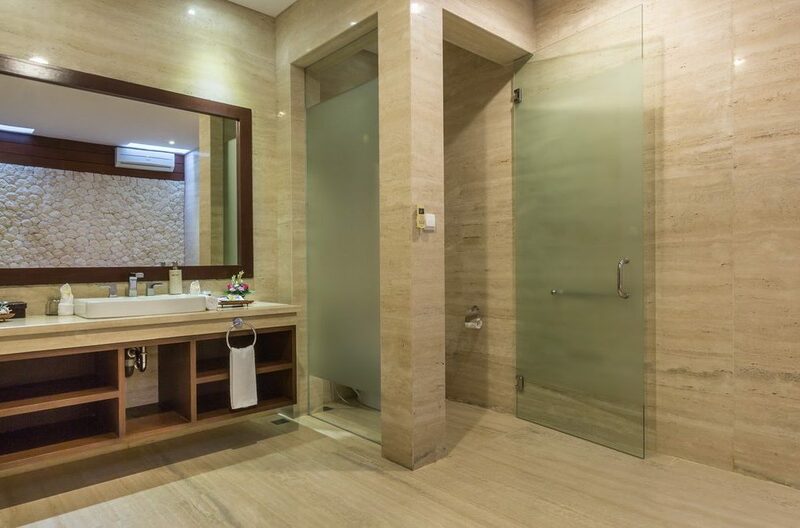 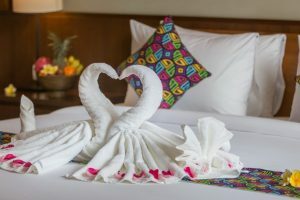 The bedrooms are spacious and bright with large custom built beds, bed side tables, built-in robes and flat-screen TV’s. 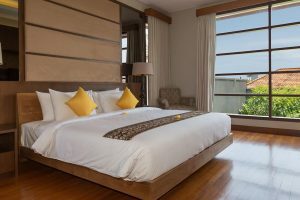 The downstairs bedroom is furnished with a queen size bed and soaking tub in the en-suite and two more rooms upstairs feature a queen size bed and the third room twin beds. All bedrooms feature flat-screen TV’s and air-conditioning. 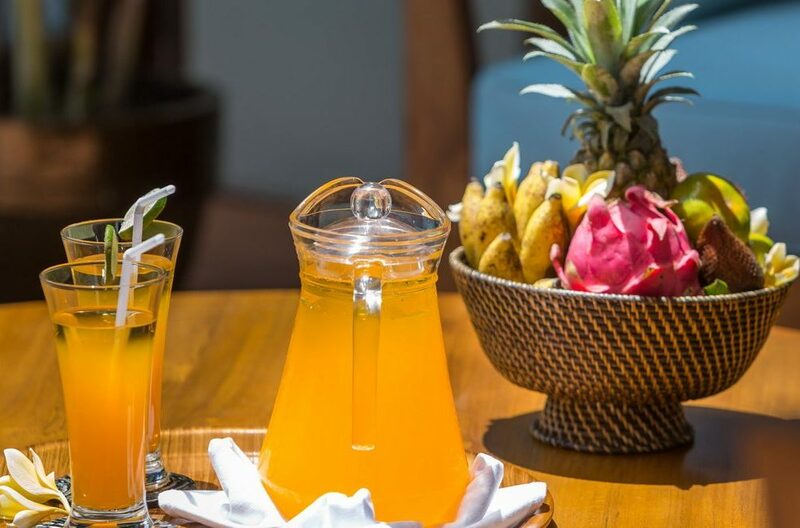 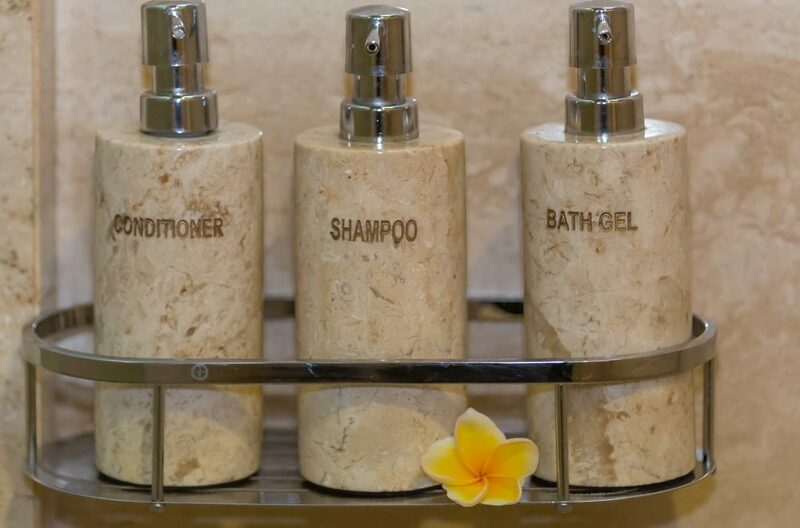 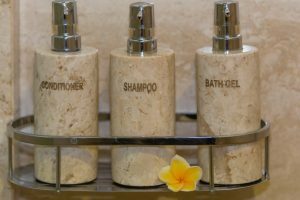 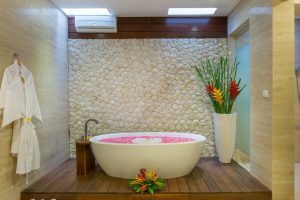 The staff at Villa Entrada will make you feel welcome, providing welcome drinks, daily villa cleaning and assist you with transportation needs, local advice and additional services such as nanny’s and in-house spa treatments. 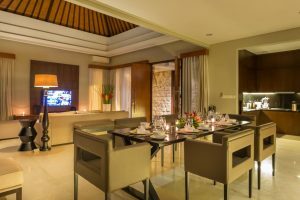 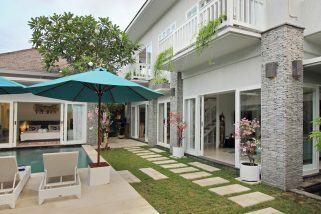 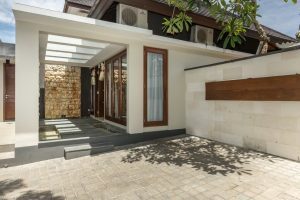 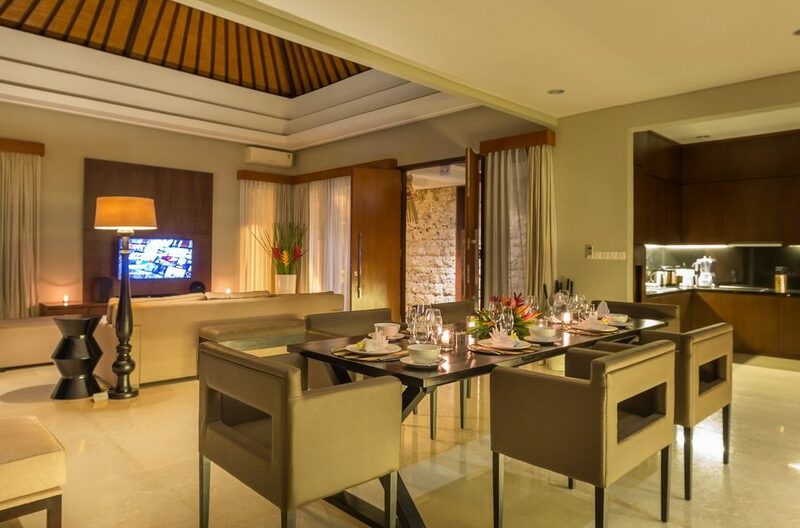 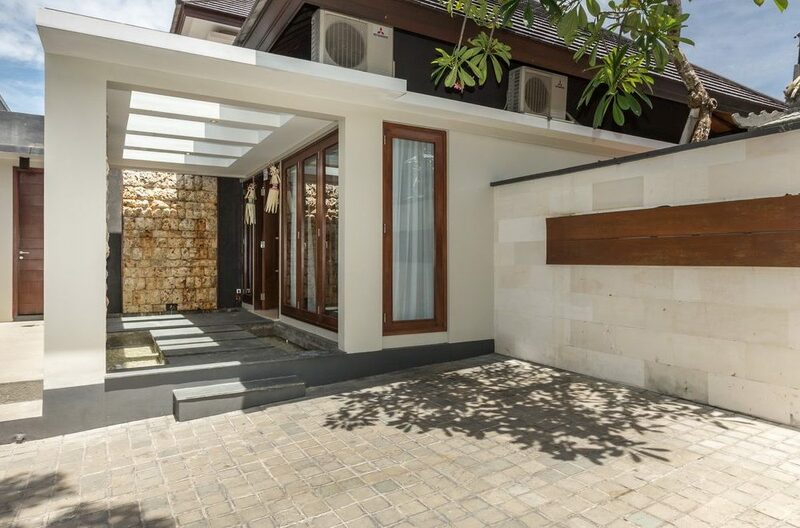 The villa is well located for guests to easily access, Kuta, Legian, Seminyak and the airport via Sunset Road. Guests can make there way to Double Six Beach ( to watch the sunsets and sit on the bean bags at the beach bars – our favourite is La Plancha), spend some time by the pool at Cocoon Beach Club or sample the mouth watering seafood. 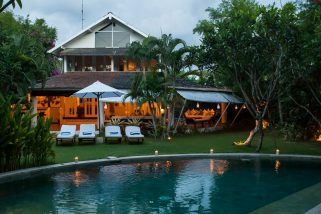 Just next door at Double Six Hotel is the Plantation Bar & Grill, an amazing dining experience. 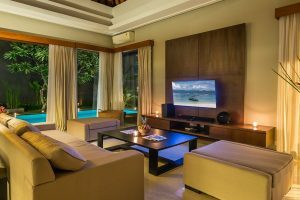 For a family holiday is really does not get much better than Villa Entrada. 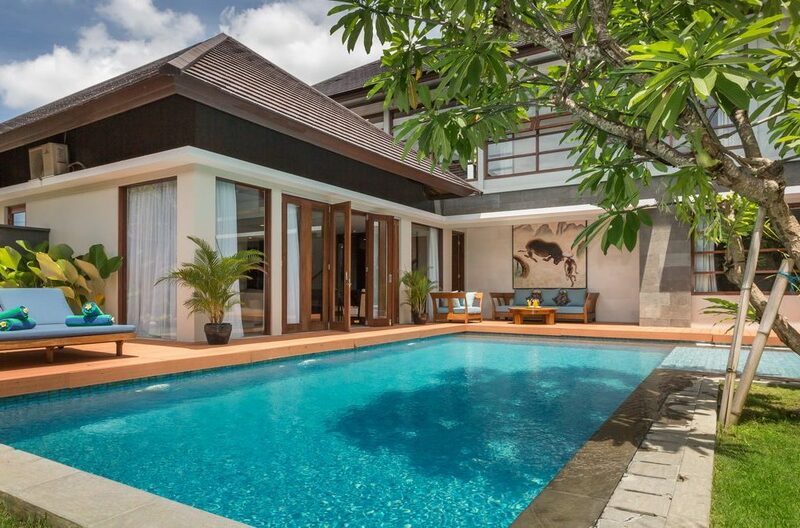 An architectural wonder in white and wood, hidden in a secluded tropical garden setting, Villa Pandora brings together Colonial and Balinese flourishes in a stunning way.